So, you’ve decided to kick the soda habit, and you’re looking for alternatives. You’ve heard about the health benefits of tea that look no further. At Persimmon Tree Tea, you will be amazed at the selection awaiting your perusal like the pu erh tea. After years of soda consumption, you need a strong tea if you want to succeed with your decision to cut soda out. The coconut cacao pu erh tea you will find at this company is fermented using the original process, and it is organic. The caffeine is enough to get you in the mood to work, and the sugars in the tea occur naturally. While the Chinese have been making this type of tea for well over 1,000 years, pu erh tea is relatively new to the United States. It will be the next big thing. This is the perfect detoxifying tea for those recently cutting off their soda intake. The change you’re making will require several items in your arsenal when the soda craving hits. 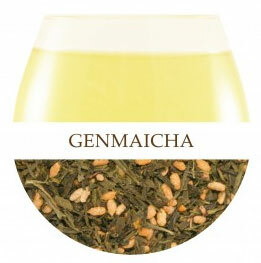 You can find out more about Genmaicha here, for the times you’re looking for less caffeine in a boldly flavored beverage. You will find that it’s an acquired taste, but once you acquire it, you will love the rice flavor! Popped brown rice kernels accentuate the tea’s flavor. It is the sort of thing you must try in order to appreciate. As with all of persimmontreetea products, this unique tea is organic. You will find that it’s priced to accommodate any budget, which is a bonus. Don’t be surprised when all of your friends love it too, though you’ll be able to afford to share. I also recommend flowering teas, which are a beautiful treat for your spirit. The company has several flowering teas of the highest quality. There are other alternatives, such as SporTea, which contains no caffeine. However, SporTea contains ginseng, which may not be safe for everyone. Imagine the calories you will be saving when you stop drinking soda. If you were drinking diet soda, you may have seen the mounting evidence that artificial sweeteners are unsafe and decided to make a change. Whatever your reason, good luck in your New Year’s Resolution to kick the soda habit, and congratulations! You’re on your way to radiant health. This entry was posted in healthy food on January 10, 2013 by Yami.